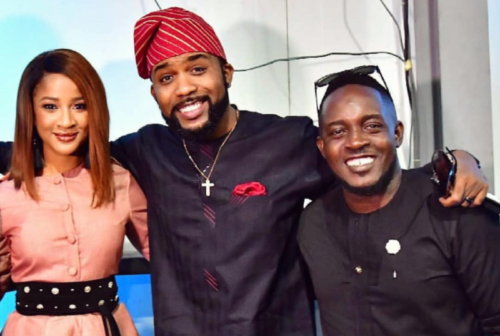 Several colleagues of Banky W have openly embraced the singer’s ambition to join politics and contest for a political office in 2019. On Sunday Banky W officially announced his candidacy for Eti Osa Federal Constituency in the Federal House. Somehow Nigerian rapper MI Abaga gives a strong opinion in support of Banky’s ambition. The singer was also present at his unveiling at the MDP congress. In his words MI stated that it’s a ‘win or learn’ situation for Banky W for having courage to stake his music career for what he believes in. The Choc City boss reaffirmed he is strongly behind him.